Metal plaques are a great way to honor someone in need of recognition. Let us help you customize that perfect metal plaque! 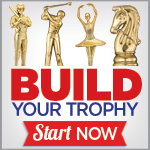 Crown Awards is America's largest plaque award manufacturer. With more than 35 years of experience as the industry leader, we have a wide variety of metal plaques to suit your needs. Simply select the metal plaque you like and personalize with your very own engraving and logo. 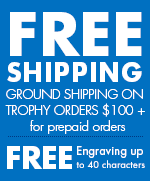 Crown offers SAME DAY SHIPPING (on web orders placed by 5:00 PM EST) on in-stock plaques and FREE SHIPPING on all plaque order $100+!